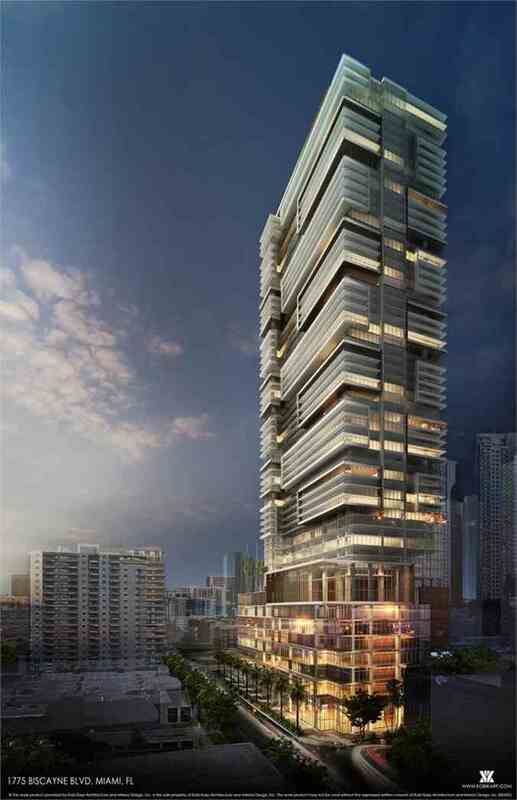 Located at 1775 Biscayne, in the Omni District, is a 47,500-square-foot lot that is currently being considered as the location of a new 53-story tower. 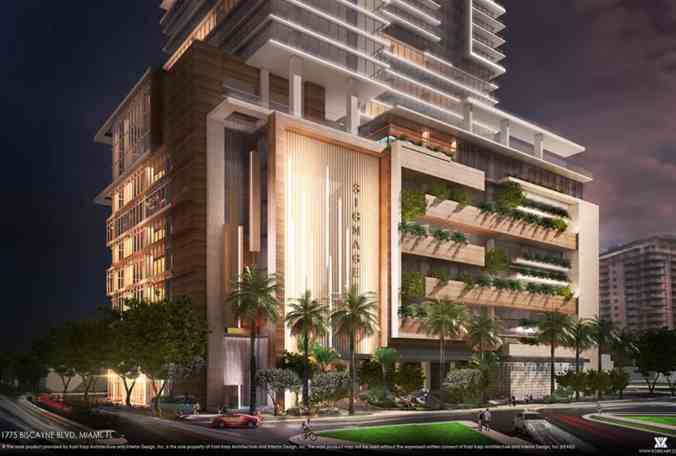 According to Miami Today News, the Urban Review Design Board in Miami recommended approval for the project in late November. 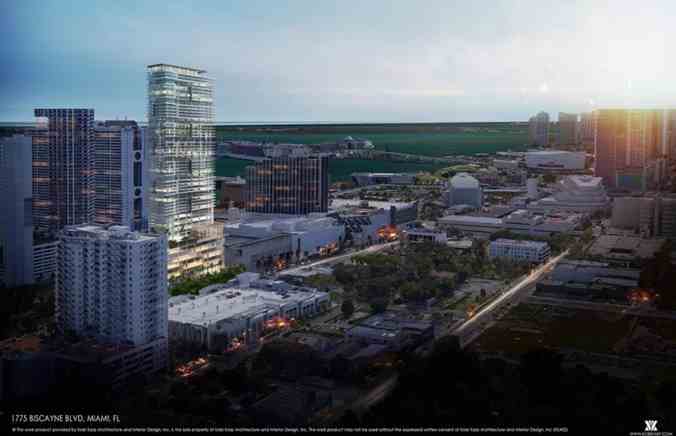 What Will the Omni District Tower Offer? The tower is reported to contained 200 hotel rooms, along with 444 residential units. The hotel rooms will be on the lower floors, while the residences will be on the higher floors, which can provide them with better views of the surrounding area. The tower will also feature 45,600 square feet of commercial space, and 14,000 square feet of that will be dedicated to ground floor retail. Another 64,500 square feet will be dedicated to office space, as well. The property will also include 546 parking spots. The top of the tower will feature a 7,000-square-foot solarium, and it will top out at a maximum height of 633 feet. There will also be two amenity decks located in the tower. One will be for the guests of the hotel, as well as office and retail use, while the second will be for the residents of the building. The tower is currently being called V, as it has no other name associated with it at this point. However, that may change now that the plans are approved, and they can go ahead with the construction. The residential units are also something of an unknown at this point, too. They could be units that are rentals only, or they could be condominiums that will go up for sale. The tower is being designed by Kobi Karp, and by all accounts, it should be a very impressive tower that will make an aesthetically pleasing impact on the local skyline. Thus far, the developer of the project is asking for several waivers regarding the tower. They want up to a 30% reduction in the required number of parking spaces because they feel that the area has a lot of public transportation, and the additional spaces are not necessary. The developers would also like to allow their parking to “extend into the second layer beyond 50% of the length and frontage” One of the other waivers they are hoping to have granted is 88% coverage for the lot, while typically only 80% is allowed. They wish to have a floor plate of 19,800 square feet for residential use, whereas it only 18,000 square feet is permitted. It is unknown currently whether the Board will agree to all or any of these requested waivers. They will often work with developers, but they also want to make sure the property is the best it can be without continually stepping out of bounds of the rules they have in place. The Omni District tower is still in the very early stages of development, but it will be interesting to watch as it progresses, and to see what types of residential units will eventually be available.